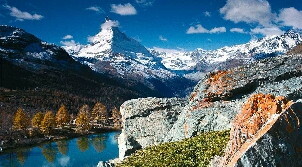 5 Star Hotels in Interlaken - Enjoy your holidays at Eiger & Jungfrau! Interlaken is a small town nestled in the heart of the Swiss Alps and has probably the most beautiful scenery of all Swiss towns. Our team would be delighted to assist you with planning your luxury holiday in the Swiss Alps! Please contact us for specific information, offers or advice. Find out more about Interlaken's top five star hotels below or use our detailed search function for specific information.